Zen and the Art of Noytard Maintenance. September 13, 2013 - by Gogs - 41 Comments. His lack of faith in reason was why he was so fanatically dedicated to it. 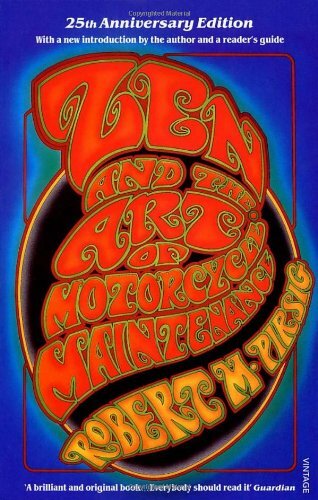 The book Zen and the Art of Motorcycle Maintenance by Robert Pirsig was probably mandatory hippie reading when it first came out in 1974. I first read it in the mid 90’s after it showed up in a recommended list by respected entrepreneur and business author Harvey Mackay. You have all heard the saying that life is a journey and not a destination. The book details such a journey and the different metaphors that help frame experiences and points of view. To travel is better than to arrive is what it says. It is not about going from Point A to Point B that matters but what you take in while you are going from Point A to Point B. The book is not THE way to look at life but it definitely is one way to look at life. How you go through it and how you make decisions as you go through it. What fascinates you and what frustrates you. Why you are open to certain things and why you avoid dealing with certain things. There was one quote in the book that always struck me was the idea of people who were dedicated to a cause, or fanatics. It is the very resistance that they encounter that gives them the strength to be fanatics. His lack of faith in reason was why he was so fanatically dedicated to it.You are never dedicated to something you have complete confidence in. No one is fanatically shouting that the sun is going to rise tomorrow. They know it’s going to rise tomorrow. When people are fanatically dedicated to political or religious faiths or any other kinds of dogmas or goals, it’s always because these dogmas or goals are in doubt. Speaking for myself I may come across as an “espíritu de contradicción” as they say in Spanish. A lot of my reactions in GRP are a result of what I consider irrational, excessive exuberance to things that I feel do not warrant such behavior. I truly believed that irrational, excessive exuberance got Noynoy Aquino elected in 2010. I bring that up because many people have not progressed beyond their mindset when they allowed this perversion of democracy to happen. Elect someone because their mom died?? That makes no sense. That’s pride f***ing with you. BLEEP pride. Pride only hurts, it never helps. People stuck in the mindset that anything Aquino is the panacea to all the Philippines ills are affectionately known in online discussion forums as “noytards”. I really feel bad in a way for Noytards who paint themselves into a corner. Incapable of swallowing their pride letting their “sad devotion to that 80s craze supersede what should have been a more productive aim which would have been to elect the most capable individual to helm our nation back in 2010. Pride does not help what is left of the intellect of Noytards. The great sales trainer Tom Hopkins said that people buy emotionally and defend logically. Nothing described a Noytard better. In the face of logic and facts they still side with Noynoy only because of his parents and whatever the parents meant to their memories. Leadership, experience , decision making, crisis handling , diplomacy be damned. Things Noynoy could never demonstrate before and surprise , surprise does not demonstrate now. As the days and weeks go by with this Napoles/ Pork barrel fiasco I have yet to hear a coherent argument on how something this widespread can just conveniently exclude President Noynoy Aquino and his allies. Oh they will try to gerrymander some scenario where Noynoy’s hands are pristine. I have documented elsewhere that the big cheese himself can’t seem to stick to a position when it comes to the pork outrage. I totally agree a photo op with silver spoon girl Jeane does not prove anything. I once shook the hands of Ozzy Osbourne and “Weird” Al Yankovic (not at the same time) and could have had my picture taken with them and they still would not have known me. I of course find Raissa Robles’ justification laughable considering what I have always believed about Noynoy’s headline dates. Philippines! Why do you continuously not heed this kid’s warning??? Look at situations in life where people are making decisions. Situations like elections where doubt exist. Doubt draws out fanatics like feces draws flies. The fanatics then try to “convert” those that doubt. For me that’s why Noynoy has the dedicated legion that he does. The guy’s track record pre 2010 proved him to be a political stiff. Nothing noteworthy in his resume, a stereotypical trapo (traditional politician). One who gets elected by sheer family name but never amounts to anything once elected. This is where an emo nation like the Philippines comes into play. Only in an emo nation can fanatics somehow make a leap from his parents glory days to an envisioned future of a competent Noynoy steering this ship of state towards utopia. That may be a bit of an exaggeration but one does not get fanatic over a vision of mediocrity. Their envisioned future had no basis in the reality that Noynoy has delivered in his first 50 years on Earth. He could not lead his way out of a paper bag. Yet he is supposed to lead this country.Well enough of the Philippine electorate bought that fantasy. Now three years later after buying the dream we are consuming the reality. This blog entry is humbly dedicated to all the Noytards who unfriended me in Facebook because of my own personal conviction. 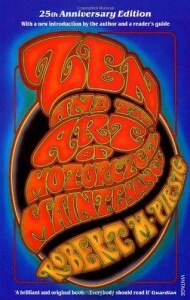 I’ve read Zen and the Art of Motorcycle Maintenance so many times already and it’s still on my desk. I think one thing that ties the book together is the main character’s discussion of “Quality” and it’s a thought that recurs repeatedly in my writing life. Are things really what they are? Are they really as good or bad as they seem? Applied to Noynoy, anyone who’d believe in his “political branding” messages ought to be subjected to repeated rounds of electro-shock therapy. Best read with a highlighter and a pen at least in my case. Quality is subjective since we all apply “the knife” differently. Thanks Paul. Gloria was said to be an economist but proved to be the most corrupt presidency since Marcos. At least PNoy is trying to clean up the system. Inept as he maybe, there is a glimmer of hope that he may succeed. 1) I don’t see Gloria on trial for anything let alone found guilty of anything. I do see Noynoy trying to throw everything at the wall to see what sticks. Doing this at the expense of other presidential duties. 2) no idea what Gloria’s relevance is to my point unless Gloria also ran for President in 2010. Let’s say Gloria was that evil, no guilty verdict after 3 years is more indicative of Noynoy than her. If Gloria was that evil wouldn’t you want the best person to clean up the mess?? Noytards are there regardless of the existence of Gloria. Because we are an emo country. At the expense of logic. Because they need to justify the ineptness of the current administration, its like comparing WWI and WWII. WWII might be much more worse but it doesn’t change the fact that a lot of people die senselessly in both wars. Mentioning Gloria has got exactly what to do with the article? How can you categorically say “At least PNoy is trying to clean up the system?” Just because he said so? Then again, he also said “Kung walang korap, walang mahirap” despite it being three years of that being disproven. How can you categorically say that “there is a glimmer of hope that he may succeed” if you yourself said he is inept? And that is what your kind calls Makoy and GMA, corrupt to the bones. Yet they are/were the only ones of the few leaders of this nation who really had a vision and were truly worthy to be the chief of state. And still you fail to see that BS is the most corrupt with trillion worth of pork under his name. Just think of these, Makoy was demonized becuase of billions of pesos worth of debt (after 2+ decades) while giving us a lot of infra and projects which are still useful to this day. GMAs cases are dropping like flies, and yet to your eyes she is still the most corrupt. Your kind do not deserve democracy. Your kind are the ones keeping this country down. This country will be a lot better without people who think like you. Gloria was said to be an economist but proved to be the most corrupt presidency since Marcos. Please tell us why you think GMA is the most corrupt President. Thanks in advance. Washing this supposed “cleaning up” attempt the disguise of what really was an attempt to make it dirtier. orlando: Where is this “proof” you speak of, when so far she’s been found to be NOT guilty of corruption? I beg to differ. Because yours is a LIE. Corruption isn’t the cause, per se. It’s the effect of how the people and the politicians interact with the government that doesn’t work! Whether you like it or not, what she said is undeniably true. I have no quarrel with the proposition that corruption has always been rampant since the Marcos era. Yes, including the Cory years which unleashed a new phase of systematic corruption. But I cannot see the connection nor the causality with being an economist and being corrupt in the superlative sense. This reads very much like an unintelligent slogan that you’d pick up from the streets or from incoherent thinkers. Or from the co-opted mainstream media that stupidities Filipinos. PNoy cleaning up the system and hoping for results is a delusional stance. He is just tolerating corruption when it serves his political ends. You cannot claim to have clean hands when your minions and associates are plundering the treasury left and right, not unless you’re bereft of your basic senses. Hi Dagr2013. 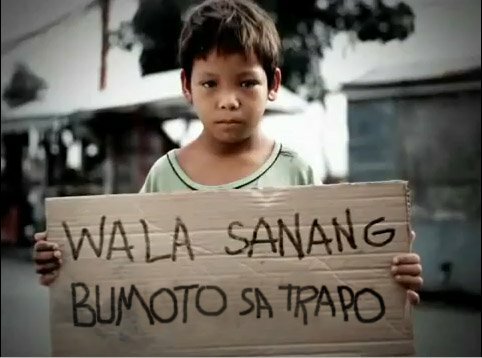 In a previous blog about Noynoy and the pork barrel I mention the only three scenarios of trapo Noynoy and corruption. 1. Too cowardly to confront corruption previously. 2. Too detached to notice corruption, 3. Part of corruption. There is no #4. I can’t believe I read an article by someone who calls himself Gogs. What I said and how I said it should be more important than whatever it is I choose to call myself. BTW, I do say in my piece that my Noytard relatives (also my non Noytard relatives) know me as Gogs. That has been the case for a few decades. I lose count how many blogs I have written for GRP but in a little over a year, trust me that you are not alone in having read something written by someone who calls themselves Gogs. If you love to talk about PEOPLE than IDEAS, which is the right way, then get out. Sendongirl. Reunited and it feels so good! What you said doesn’t really compute because Noytards are already dumb to begin with. I doubt anything I did could make a dent. Really? Your level of dumb can actually go lower? Care to explain how reading gogs’ rants and you being dumber are related? Not that I think you can, anyway. You never were really smart to begin with, sendonggirl. Nah, you were already dumber than dirt way before reading this article. Still not very bright are we, sendonggirl? TBH, who wants to believe on someone who loves to distort and insult everyone and everything? Pirsig’s saying is a really nice rendition of: fanatics don’t use their brains. Case in point: Sendong”girl” and this new iteration of “eduardo”. If the president is REALLY clean then why can’t he show the public what he did with his PORK while he was a congressman and senator? Ricky hasn’t given them the official excuse yet. Scriptwriter doesn’t have a creative idea in mind yet. Do they ever have anything creative ? We see it all the time here . Falls into two basic categories : 1) the president is/ will fight corruption/ fix economy / working tirelesly / make the Philiipines paradise . 2. Gloria is the worst/ most corrupt . Did I miss anything? noytards are basically blind, idiotic slaves to the orders of the Aquino oligarch media machine. it is impossible for any politician in the country to NOT be a crook. Carte Blanche take us much as you want when you want no one is going to stop you. When your pockets are filled just let your family members become the next councilor, mayor, congressman, senator or president. Round and round the family circle it goes. Gerry and Yawn, what you say is true. Still , these morons are idolized and not resented by the people in general . And for what? Robbing us blind. And people are furious at me for not giving two craps about a basketball team that only now beats Korea. I think Dan Patrick said this yesterday. Regular Season Peyton. Playoffs Eli. Still gonna be Peyton Manning with the most records set. Even if Eli keeps playing at his current level for the next ten years. 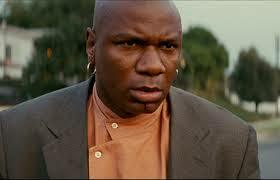 Then again Eli has TWO rings. Hahaha!!!! Haven’t you noticed? Da Penoy’s slogan “kung walang walang kurap, walang mahirap?” if you try to think it over….is quite impossible, verging on some kind of emo stupid statement. The poor have always been with us since time immemorial, that’s life because as it is we humans are imperfect living within imperfect human systems. So by his saying he’s gonna erase all corruption in our present govt. setting is next to impossible. So emo to the max. He did not even summarize to us how he will do it…..his program of governance. Now we know some of plans as they are unfolded to us, first, jailed ExPGMA and blamed her of all the woes in the present govt., second, convicted CJCorona for alleged non-declaration of some assets in his SALN, then did not explain why the DAP, Pork, etc…. irresponsible behavior towards meeting of crises – man-made and natural ones. So? How do we figure it out? Hahaha!!! I can’t!!! Can’t follow his way of thinking, well, can you? So I’ll stop here.